Theinaugural International Screenwriters Festival held last week in the UK town ofCheltenham has been hailed as a major success by industry figures and bodies. Thefestival, in association with Film Four, and backed by Screen International attracted big names from around theworld including Julian Fellowes, Nicolas Roeg and Alan Scott, WilliamNicholson, Olivia Hetreed, Tony Grisoni, StephenWoolley, Debbie Isitt and Guillermo del Toro (Pan). More than500 delegates came to hear 110 speakers give keynote speeches, leadmaster-classes, and take part in panels, seminars and screenings. "Itwas a fantastic festival in a fantastic setting, with a great, friendlyandwell organised team;making welcome opportunities for screenwriters tomeet and discuss important issues with other writers and producers. We weredeeply impressed," said David Thompson, Head of BBC Films. Gladiator scriptwriter, Bill Nicholson wasequally enthused: "I felt like a long-lost traveller who has been wandering starvingin the wilderness, and stumbles upon a fertile oasis populated by peoplemiraculously speaking his own language. 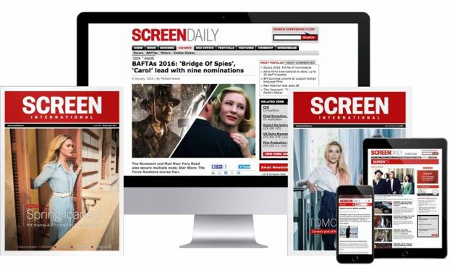 We screenwriters need suchnourishment." ShirineBest, Head of Development at Brighton-based production outfit Spice Factory,believes the event will get bigger yet in coming years while Olivia Hetreed (Girl with a Pearl Earring) said: "There's a lot of talkabout "development hell" but last week in Cheltenham was theopposite. The first Screenwriting Festival was a chance to listen to greatpractitioners sharing their secrets with their peers and most enjoyable of all for me- to spend time with other writers comparing notes, techniques, projects andhorror stories. There was a great, laid-back, supportive, creative atmosphere.If there's a development heaven it might look like this."